This is an eclectic collection of prospecting ideas, twelve in all, transported from our learning center, Don Connelly 24/7. 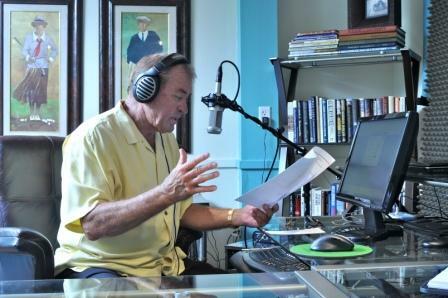 Some of the recordings are answers to prospecting questions sent to Don by subscribers. Some material is drawn from our monthly newsletters. One session is even a recording of a telephone conversation Don had with an Advisor. We chose these particular tracks because they generated the most positive feedback from our subscribers. They are designed to help you on your amazing journey toward fulfilling your potential. If you are a PLATINUM member of Don Connelly 24/7, you have free access to this mp3 compilation in the Resources section of your member account. This is an eclectic collection of prospecting ideas, twelve in all, transported from our learning center, Don Connelly 24/7. They are designed to help you on your amazing journey toward fulfilling your potential. Eclectic, because the recordings are from various sources within Don Connelly 24/7. Some of the recordings are answers to prospecting questions sent to Don by subscribers. Some material is drawn from our monthly newsletters. One session is even a recording of a telephone conversation Don had with an Advisor. We chose these particular tracks because they generated the most positive feedback from our subscribers. As always, thanks for allowing Don to add value to your business. Once you place your order and complete your payment, you will be shown your order details on the screen with 2 download links – 1 link to the mp3 file plus a PDF file with the track list and timing of the recording. You will receive the same order details via email. These are largely very good ideas. I like that the similar ideas are grouped together (e.g. asking for referrals). I wish Don talked more about the language to use when approaching prospects and the mechanics of who to prospect and how to prospect them. Some of these ideas I have already been doing – like approaching business owners. Overall, a useful tool to keep in the car for the drive to work. Love listening to these key ideas delivered in an inspiring way. These 12 propecting ideas are the essentials for having a great practice. Don motivates me to do what’s important to grow my business. Knowing what to do is half the battle, the other half is actually doing it — consistently. This little gem is a great value.